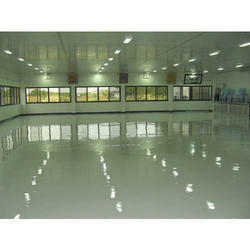 Epoxy flooring are generally used in areas of industry where goods are handled in specific spaces, such as production lines, warehouses, loading bays, and where compressive loads are generated by the movement of goods on trucks, pallets etc.Pedestrian traffic areas require varying degrees of slip resistance, dependent on whether the environment is wet or dry.Pharmaceutical, cosmetic, food, beverage, chemical and electronics industries have very demanding sanitary requirements. These industries need totally dust free and easily cleanable floors, without cracks or angled corners.We are the dealer and applicator of different variety of epoxy lining and flooring. 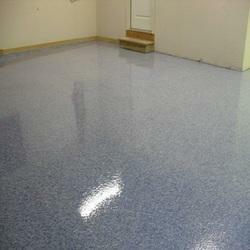 We provide a variety of color preference in epoxy coatings. slightly granular texture of uniform colour. A two part epoxy sealing coat from Dupoxy coating TCS 100 & TC 100 is recommended as a topcoat for Dupoxy SC 206.